Memories in a two up album that holds up to 200 photo. Display your most meaningful memories in this elegant Our Family album by Malden. 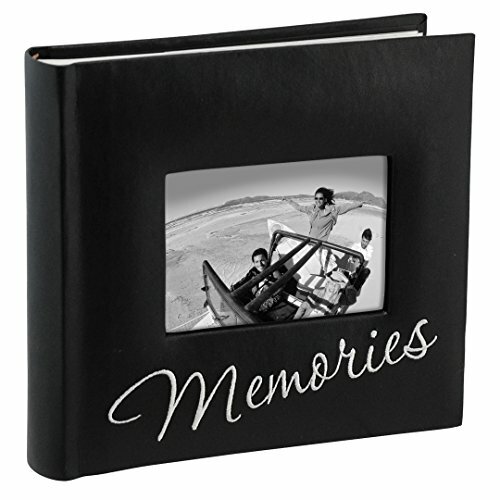 This album has a sleek black cover with cursive script embroidered across the front. The cover also features an opening for a 4 x 6 horizontal cover photo. Inside the book bound album there is room for 50 photos, with 2 photos displayed on each page and space for memos. If you have any questions about this product by Malden International Designs, contact us by completing and submitting the form below. If you are looking for a specif part number, please include it with your message.